Check out larger pics here! 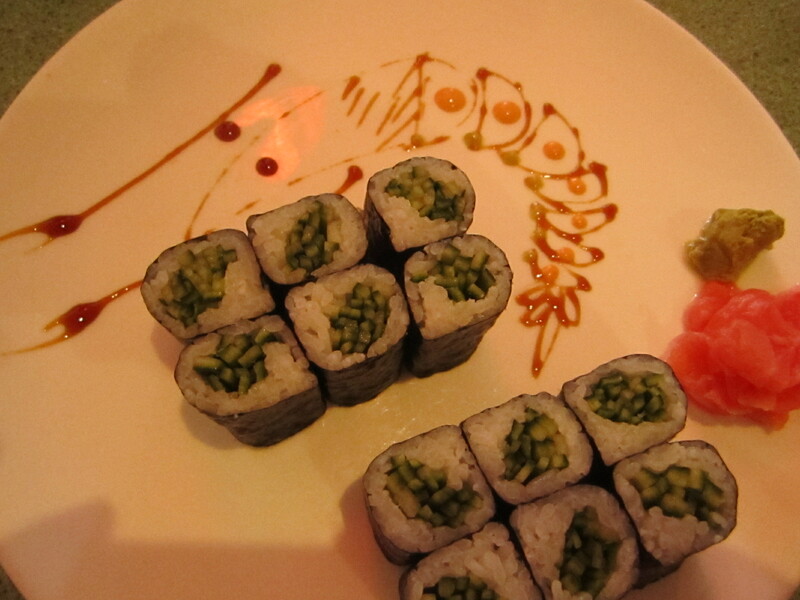 Two cucumber rolls, with sauces artfully done as a shrimp. Your Japanese lunch specials will come with a bowl of piping hot miso soup and a mini side salad. Both are great, but the real prize will be your sushi selection. The adorable sauce designs showcase the talents of the sushi chefs — their attention to detail is truly remarkable! These sushi plates could easily be served at a posh NYC sushi lounge for triple the price, but it’s quite a steal to get them on a lunch hour bargain! Spicy shrimp roll and a vegetable doll, with a ginger sauce dolphin. 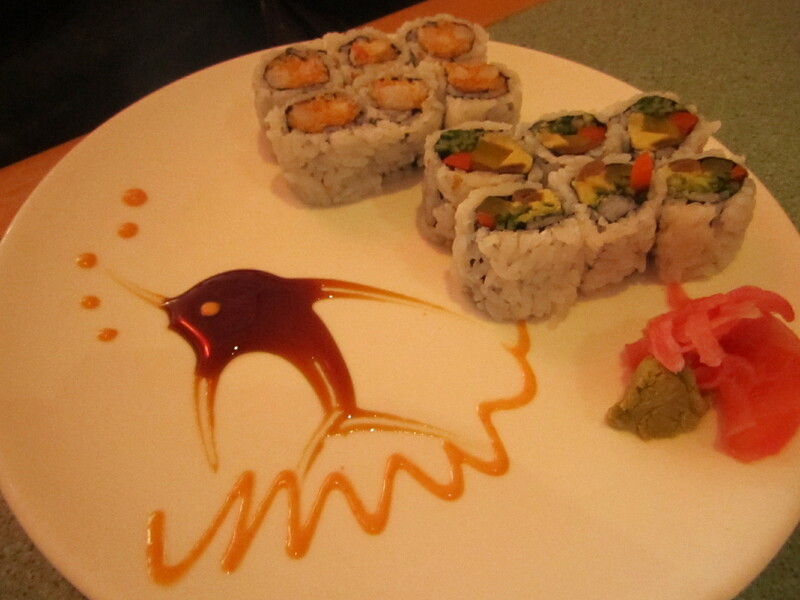 Dolphin and shrimp sauce drawings are great, but they’d be useless if the sushi wasn’t impeccable. Luckily, the presentation does not disappoint. The rolls are fresh and tasty, and you have quite a menu of options to pick from. Two rolls are included in the lunch special, which offers plenty food to keep you full until dinner! East Cafe is located at 343 Mt. Hope Avenue in Rockaway, New Jersey. If you go, make sure to take advantage of their amazing lunch special deals! You can pick from Chinese, Japanese, and Thai specialities: but at their budget friendly prices (from about $6-$10), consider ordering up a bunch of plates for the table to share. Let us know if you go!